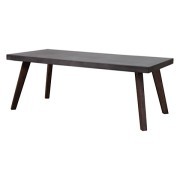 The Sanibel Dining Table is crafted with a solid Acacia wood base finished in a contemporary dark walnut stain. 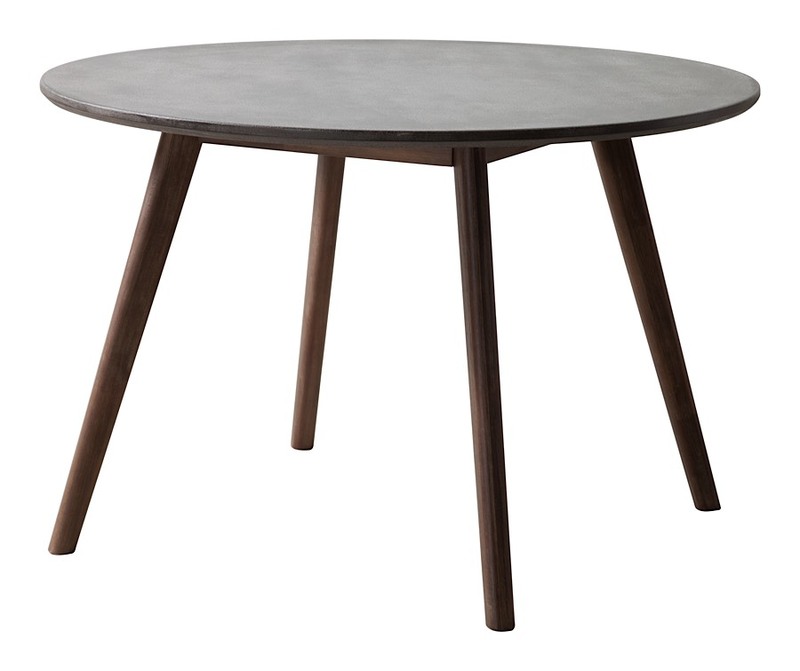 The circular top is finished with non-porous epoxy and cement mix designed to be easily cleaned with any household detergent. 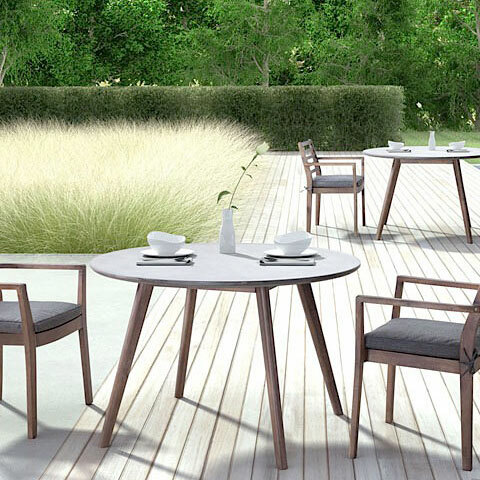 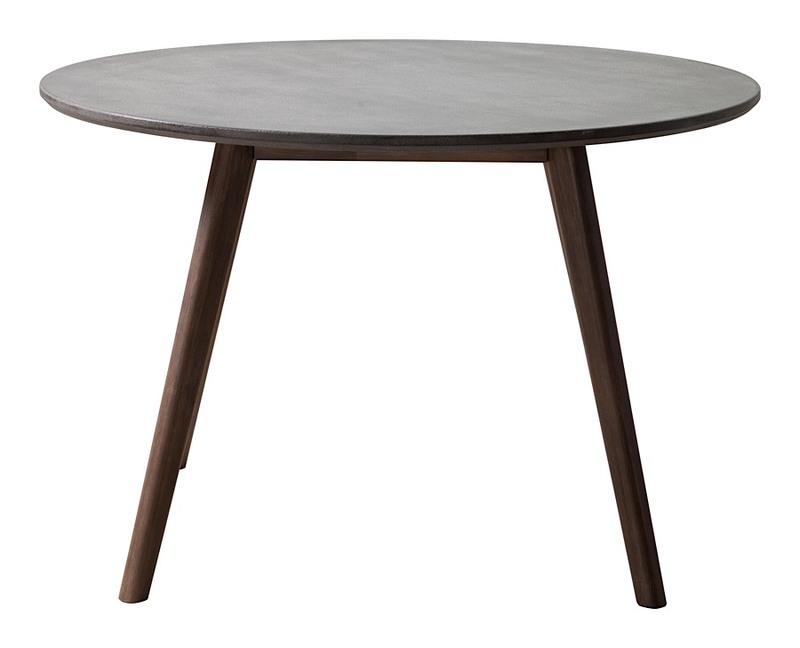 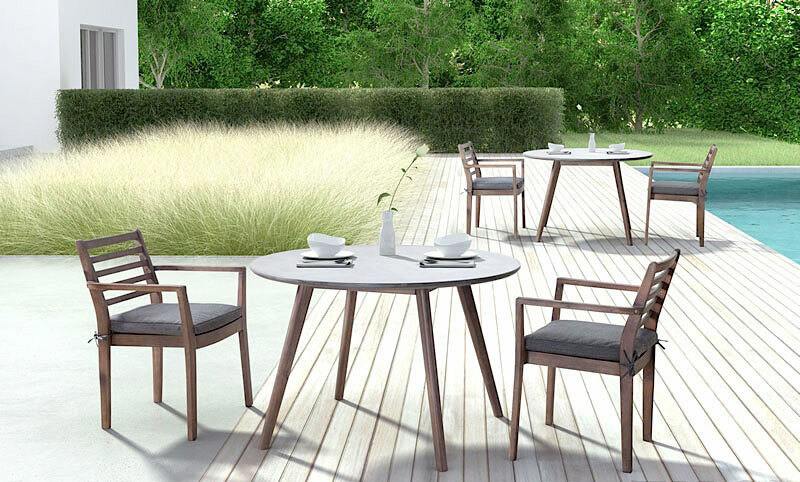 This modern table exemplifies strength and style for any space outdoor or indoor!